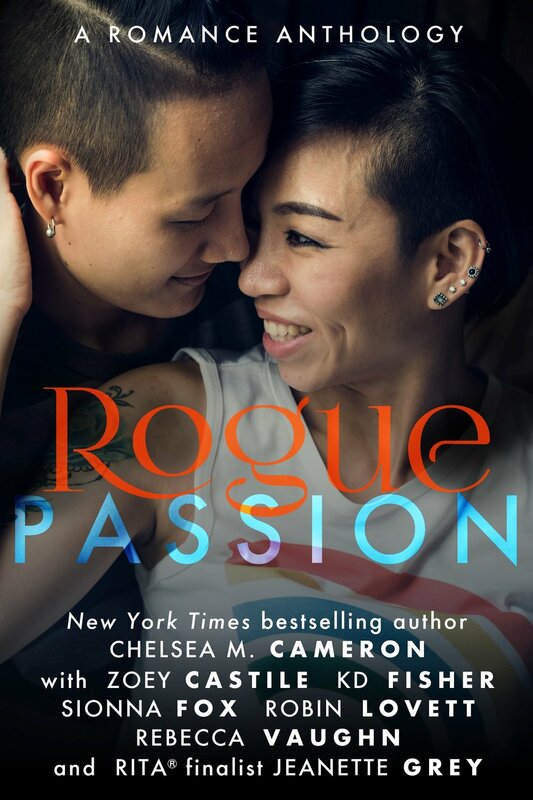 Rogue Passion, "Fight Fire with Fire"
"Fight Fire with Fire” by Sionna Fox (f/f) blew me away. It was beautiful, nuanced, deeply characterized, full of glorious details about art and creativity and curating art exhibits. It was delightfully insistently queer in a way that just took my breath away and felt so intensely resonant. It made me cry, I felt so much for these characters, felt so held by the story." "Fight Fire with Fire by Sionna Fox was probably my favorite story out of the entire anthology...The relationship seemed to happen very naturally and we switch between the two’s POVs and the mutual pining was cute." "This was faaaantastic...This one really went all out with tackling social issues, and the incorporation of body image was great."